I took a little break from all the linen to work with grain sack fabric for this pair of chairs. finished and delivered just in time for Thanksgiving :) My client found these chairs and thought they would be great extra chairs to have on hand when extra seats are needed. I think she said they originally came from a vintage travel trailer (great pieces can come from lots of different places!). They are sturdy and the perfect size for extra seating, but they definitely needed a new look! My client's reaction? "Those buttons are so me!" The best compliment :) In this case, the buttons are purely decorative - the chairs are straight enough that an extra opening is not required. I treated the arm like an English roll arm, with pleats where the arms curves. I matched the stripes all the way down the front. And wrapped the front skirt piece around the front of the arm. 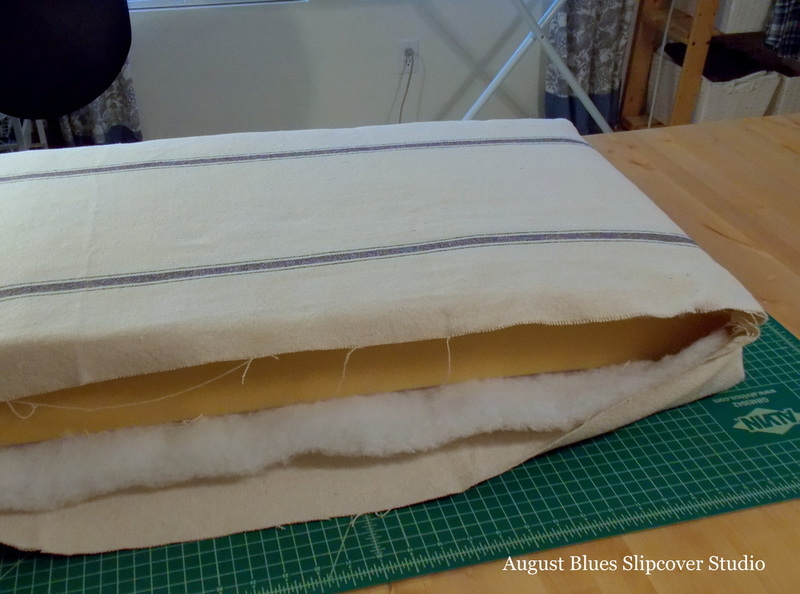 We opted to top-stitch the seams, instead of adding piping - keeping it simple! 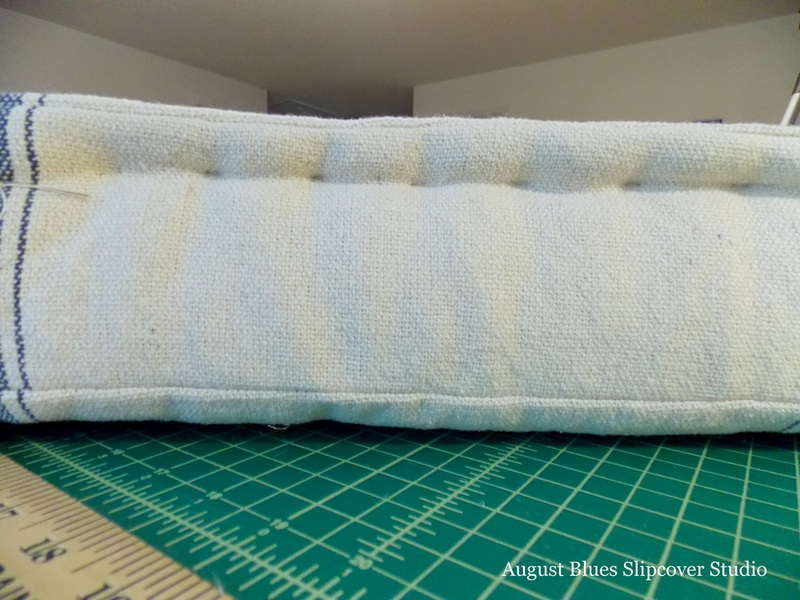 I finished the bottom edge with a simple blind hem. Have you made anything with grain sack fabric?